Ronald W. Bronstein’s area of concentration is in the field of representing injured workers and their dependents in connection with all types of traumatic injury and occupational disease claims. Mr. Bronstein has focused his practice in workers' compensation for over 35 years. He was appointed as a Master of The Bench of the first Workers' Compensation Inn of Court established in New Jersey in 1995. He also served many years as a trustee on The Executive Board of The Workers' Compensation Section of The New Jersey State Bar Association. He served on a task force charged with the responsibility of improving the applications for temporary disability and medical benefits. He has also served as Trustee of the Workers’ Compensation Section of the Morris County Bar Association. 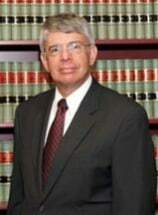 In 2002 Mr. Bronstein received the prestigious Americo B. Antonelli Memorial Award presented by the Workers' Compensation Section of The New Jersey State Bar Association to the workers' compensation lawyer who exemplifies professionalism and dedication in the practice of workers' compensation. Mr. Bronstein speaks fluent Spanish and he has represented the Hispanic community in workers' compensation matters over the course of many years. He received his Bachelor of Arts Degree from Rutgers University in 1963 and his Bachelor of Law Degree from Rutgers University in 1966. He was admitted to practice before the U.S. Supreme Court in 1981. He is also past president of Temple Shalom, Succasunna, New Jersey.